If a flood damages your property, time is of the essence. The faster you contact a trained professional, the better your chances of restoring your property. Do not wait until irreversible damage occurs! 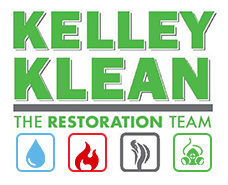 Kelley Klean is a full-service restoration company that can take on all types of flood damage situations. From commercial buildings to residential, industrial to medical facilities, we have experience mitigating them all! If you are interested in learning more about our flood damage repair services or would like to speak with one of our estimators for a quote, give us a call at 573-214-0990. On-site arrival: Our well-equipped technicians will come fast with the right equipment to start with mitigation for the damage you experience from the water. Identify Water Classification: Depending upon the severity of the flooding, our technicians will classify the intensity of damage as Category 1, Category 2 or Category 3. We will then determine the drying plan to meet the severity of the situation. Drying Plan Established: At Kelley Klean, we believe in communicating with our property owners every step of the way. That is why we always share the drying plan with you so that you understand what the restoration process looks like for your flooded property. Extract Standing Water: Our technicians will start removing any standing water with capable truck mounted water extraction equipment. These units can extract up to 99% of the water present, thus shortening the overall drying times of the entire affected area. Install Drying Equipment: At Kelley Klean, we will set our dehumidifiers, air movers and air filtration devices according to the IICRC standards. We ensure that our equipment placement will create an optimal drying environment in order to speed up the drying process. Track Moisture Readings: Every day we will take the proper moisture readings to report back to the insurance company. As the affected areas dry, we will slowly take equipment out of the affected areas until none is necessary. Depending on the severity of the project this could take as little as three days. Sign-off of Work: Upon completion of the job, we will ask for your signature to sign off that our work was done to your satisfaction. This keeps you satisfied and ensures that we do not leave until every element of the restoration process is addressed. Flooding can be very damaging in household circumstances as most items in the home, such as heirlooms, pictures, and other family mementos, which are precious and special that cannot always be replaced. When this occurs, Kelley Klean will assist with any contents cleaning required. Kelley Klean knows that catastrophes can hit beyond your control, regardless of your best attempts to maintain your building. Flood damage can be extremely damaging, saturating walls, insulation, floors and other building materials in its path. With most commercial buildings, there are several owners in place. You have the property managers, Lease owners, and other stakeholders who all want the restoration process to look a bit differently. Kelley Klean has over 30 years navigating the agendas of the various stakeholders and can ensure we will devise the best plan for each situation. When a flood occurs in an Industrial facility, many times it can mean thousands of dollars in lost production time. At Kelley Klean, we will be able to contain the affected areas so that production can still occur. We will also work fast to get you back to full speed in as little time as possible. If you have a residential, commercial or industrial property that has been damaged by a flood, give Kelley Klean a call. Established in 1986, we understand the sense of urgency to restore your property in the shortest amount of time possible. The contractor of choice in Mid-Missouri, we service the Columbia, Jefferson City, and Central Missouri areas. If you would like to reach us directly, our office staff is on-hand to answer any questions. We strive to be your contractor of choice and will provide you a quick and accurate estimate.